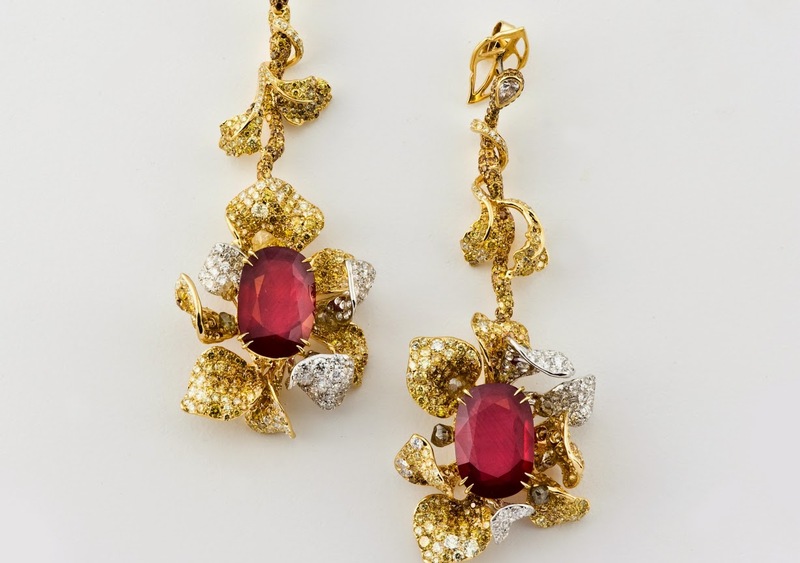 CINDY CHAO The Art Jewel's Ruby Sunflower earrings are the perfect festive gift, set in 18K yellow gold and featuring over 22 carats of ruby, over 7 carats of clear diamonds and over 15 carats of yellow diamonds, these intrinsic earrings are a true masterpiece.The perfect embodiment of the festive period, these earrings are a celebration of artistic talent and sheer opulence. CINDY CHAO earrings are the purest form of wearable art, such one of a kind, timeless treasures are the perfect gift for a loved one with a penchant for glamour and an appreciation for the artisanal. CINDY CHAO's masterpieces merge the rarest gemstones with the most extravagant and innovative designs.These limited creations can be experienced in museums, auctions, or by appointment for private viewings.